Best salon in Kolkata!! Head Turners is the best place to get a good salon service done. We're having a offer going on now. Get any one service done at our shop and get two hair streaks for free. Hurry up!! The offer is already open for everybody. It is valid only till 31st December. So make sure you avail this offer, along with your friends and relatives. Check out these Durga Puja 2017 offers! Gents hair cut starting only at Rs. 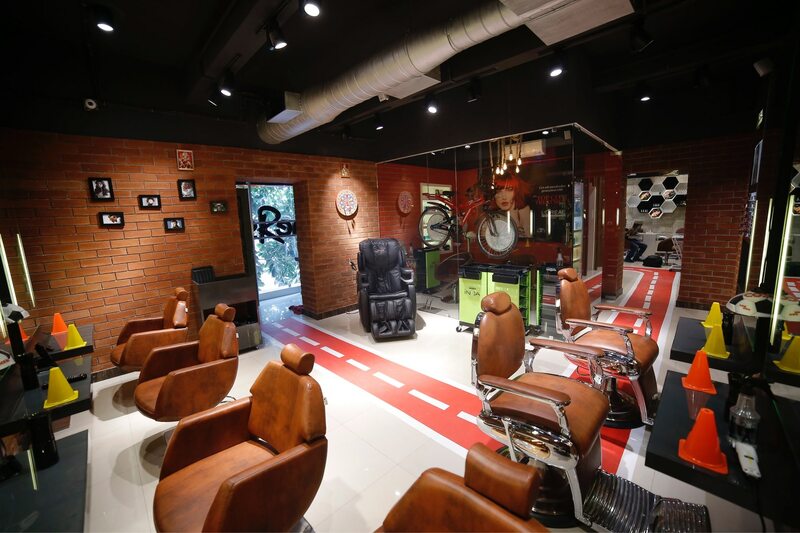 390/- GST Applicable* Head Turners - Sports Salon is a unisex hair and spa salon. Address - P-19, Gariahat Road, behind Golpark SENCO Gold, opposite Muralidhar Girls College, Kolkata - 700019. Landline - 033 46004533 Mobile - 8282802007 We offer the following services - Mens hair cut, ladies hair cut, mens hair colouring, ladies hair colouring, mens hair spa, ladies hair spa, mens hair straightening, ladies hair straightening, mens hair smoothening, ladies hair smoothening, manicure, pedicure, facial, body spa, blow set, hair ironing, hair updos, hair upstyles, hair tongs, child cut, bear trimming, bear styling, shaving, hair fall treatment, global colouring, ammonia free hair colouring, beard colouring, rebonding, highlights, perming, root touch up, ammonia free root touchup, colour correction, global highlights, global lowlights, oil infusion colour service, keratin straightening, colour with smartbond, colour with olaplex, scalp clear dose treatment, anti thinning hair services, serioxyl treatment, loreal lipidium treatment, Moroccan oil treatment, etc.